As part of an established dealer group in Maryland and Delaware, this market leader has successfully built customer loyalty –achieving 743% return on investment from targeted mailings, selling 135 additional vehicles through one 4-month campaign and verifying that 65% of vehicles sold were to existing customers. Price Toyota is part of the Price Automotive Group, an established dealer group with seven franchises in four locations in Maryland and Delaware. Like all the members of Price Automotive Group, Price Toyota takes pride in customer satisfaction and community involvement. Because of a continued focus on the customer, Price Toyota has one of the highest customer loyalty ratings (repurchase rates) of all Toyota dealers in the region. According to Mike Price, Vice President of Price Automotive Group, "Customer loyalty is at the center of everything we do at Price Toyota." Especially in a challenging sales environment, Mike and his team recognize that every contact with a customer or prospective customer is a chance to build customer satisfaction and loyalty. At the same time, every customer touch point presents an opportunity for defection if it's not handled properly. Mike understands these concepts, and recognizes that targeted and ongoing communication is a key component in his customer loyalty program – especially when times are tough. For almost 10 years, Mike and his team have worked with Automotive to build a direct marketing program that supports Price Toyota's focus on customer loyalty. 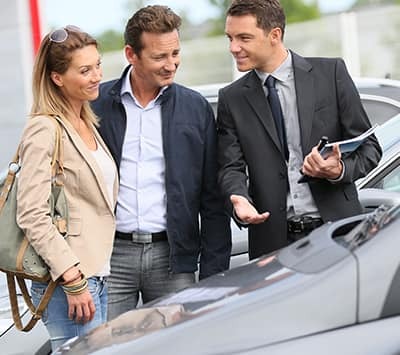 One key aspect of this program is targeting potential customers who "look like" current customers, with an emphasis on buyers of four core vehicles. Working with IHS Markit, Price Toyota analyzed its customer database by a number of demographic and psychographic parameters, including age, occupation, educational level, neighborhood and lifestyle characteristics. Prospects that match Price Toyota's customer profile are considered likely buyers for one of the core vehicles and become part of the mailing list for targeted marketing communication. Another important component to Price Toyota's targeted marketing program is profiling prospective customers based on two key criteria that are indicative of sales potential: in-market status and vehicles already in the garage. Combined, IHS Markit's Garage Predictor™ and Purchase Predictor™ solutions provide Price Toyota with a reliable list of prospects who are likely to be in-market within a few months and who have a high propensity to buy a Toyota. Armed with these insights, Mike can then send appropriate marketing materials to these prospects. Through trial and error, Mike has learned that communication with potential vehicle buyers can't be a one-time event. Rather, he uses the targeted marketing lists he receives from IHS Markit to develop multi-month marketing campaigns. He typically communicates with each potential buyer on a monthly basis for eight to nine months, varying the offer with each communication. Especially in a recession, what saves the dealership is loyal customers. Profiling our customers with IHS Markit directly supports our customer loyalty efforts. Due to the intense focus on creating customer loyalty throughout the vehicle buying and ownership process, Price Toyota has found that nearly 60 percent of its sales are to existing customers. Therefore, customer retention is even more important than new customer acquisition as a goal of Mike's marketing efforts. Using the data provided by IHS Markit to stay in contact with customers at the right time in their vehicle ownership cycle is one way that Price Toyota prevents customer defections. To track the success of its targeted marketing efforts with both existing and new customers, Price Toyota executes campaign evaluations of targeted customers to see what they purchased. Because of his years of experience in target marketing, Mike knows that the profile of a person that will buy a particular vehicle in his trading area is not always the same as the prospective customer profile identified by the manufacturer. For example, with the RAV4 small SUV, Toyota suggested that the typical customer would be a male with a high school education. By profiling his customer database, however, Mike found that in his trading territory, 67 percent of RAV4 customers who had purchased at Price Toyota were women, many with post-graduate education. This information was crucial in shaping Price Toyota's advertising strategy for this vehicle when targeting new RAV4 prospects. For the RAV4, Mike's analysis showed him that advertising in the lifestyle section of the paper would be far more effective than advertising in the sports section, which he likely would have done based on the customer profile provided by Toyota. An impressive return on investment: Mike and his team saw a 743 percent return ($249,000 in gross profit) on their investment of $33,500 in the mail campaign. Significant new vehicle sales: Price Toyota sold 135 new vehicles to customers whose names and addresses matched those on the target mail list. Reinforced customer loyalty: Sixty-five percent of the vehicles sold were to existing customers. New customer acquisition: Thirty-five percent of the vehicles sold were to first-time Price Toyota customers – an important group with the potential to become long-term loyal customers.